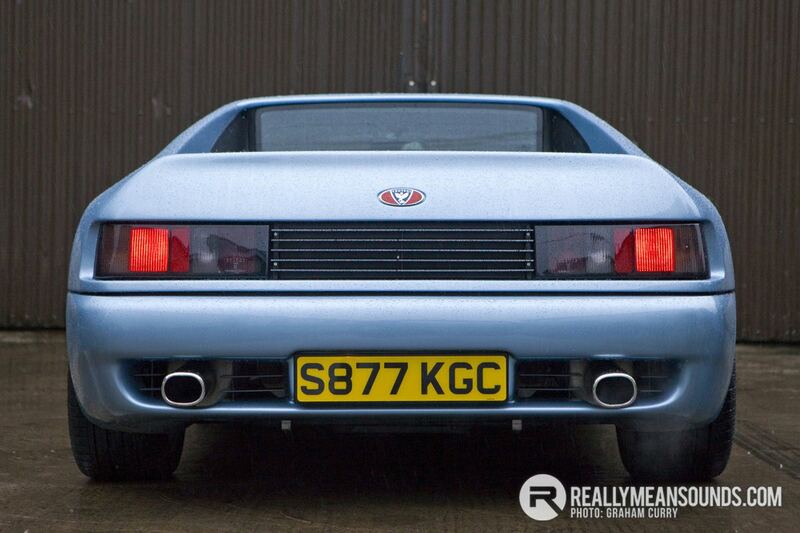 Of all the sports car companies from France, Venturi may have had the most promise. Despite nearly two decades in existence it never made more than a dent outside of France. That’s a shame because its creators, two former French engineers formed the company with the intention of building cars equal to Bugatti, Ferrari and Porsche. They succeeded partly, but few noticed beyond its home base in France. The Atlantique was Venturi’s main line car and was first created in 1984. 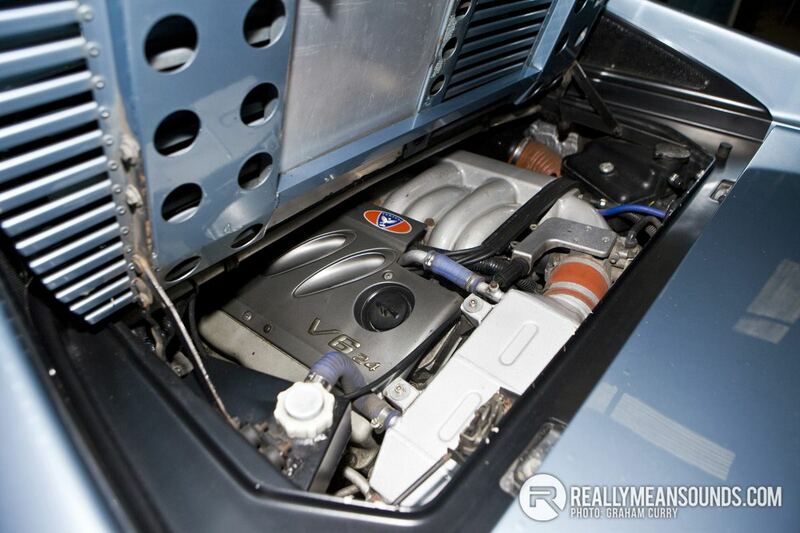 In 260 trim, it was a mid-engine sports car that used a 2.5L V6 from the Alpine Renault GTA. It wasn’t until the company was bought by a Thai investment consortium in 1996 that the Atlantique really began to make a name for hardly ten-year old company. The redesigned “Atlantique 300” cars low drag coefficient of 0.31 was complimented by composite glass fibre bodywork, making it very lightweight. Contrary to the design of many French sports cars, the Atlantique had a derivative look that resembled the front of a late 90’s Toyota MR2 with the rear of a Ferrari F355. But like the previous car it used a V6 and 5 speed manual transmissions from one of Frances large auto conglomerates, this time Peugeot/Citroen. The twin turbo 3.0L in this stunning example produces 310hp to the rear wheels propelling it from 0-60 in 4.9sec with a top speed of 171mph. With quad cams and sequential fuel injection, the Atlantique featured an advanced engine for its era. The new Atlantique 300 was intended to go head to head with the Lotus Esprit V8 on its home turf. Matching the Lotus in most respects, it was reviewed favourably by the European automotive press. 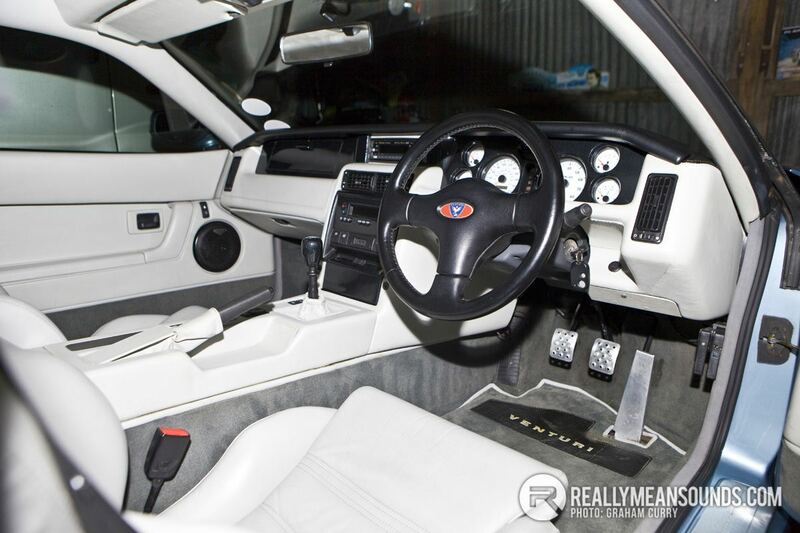 Its build quality was considered better and it’s interior more lush and comfortable than the Lotus and was priced similarly. 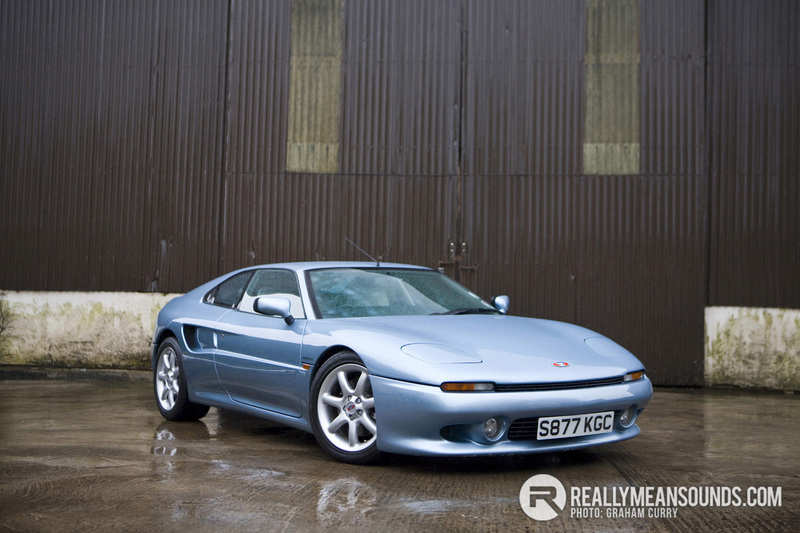 Sales of the Atlantique were extremely poor; total Venturi sales over its lifespan amounted to fewer than 700, sports car buyers wanted some degree of pedigree and racing heritage, both of which Venturi did not have; despite praise from contemporary critics and from Top Gear. Whilst researching for this article I found that Richard Hammond drove this exact car around Paris whilst working for Men and Motors TV show, this video can be found on you tube. It then came to my knowledge that the current owner has infact unknowingly retraced those steps of Hammond as he has also had the car in Paris and driven such beautiful cityscapes such as the Champs Elysee. Due to the low numbers produced and the fact that they didn’t venture far out of France and mainland Europe, it’s not surprising that this is the only one in Ireland that is road legal and indeed one of only two right hand drive models ever made. The car is also quite famous as I delved into previously, not only is it one of two right hand drive cars built from the factory and driven by many famous media, but the man who ordered it from the factory got something no other Atlantique got and that was Ferarri Azure Blue paint. From chatting with the current owner this was due to the car coming to the UK to be used as a press / motorshow / demonstrator car and the owner who planned selling them wanted it to stand out from every other Atlantique built so ordered the Ferarri colour to do exactly this. It also lived in Spain for a number of years which the current owner didn’t know whether to be true or not, but on giving the car a comprehensive detail inside and out a while back he found a ticket from a Spanish sun lounger company so obviously this little piece of fast automotive history has had some fun in the sun. A limited-edition 400 GTR was built for racing homologation requirements and later used in the 24 Hours of Le Mans. Venturi was also briefly involved with the Larrousse Formula One team. The team’s 1992 car, which bore the Venturi name, was designed and built by Venturi Larousse UK, a British company formerly known as Fomet 1, which had previously designed the 1991 Fondmetal Formula One cars. The 400 GT remains one of the best performing French cars ever produced, and it is in fact the very first car in the world to have standard carbon brakes. 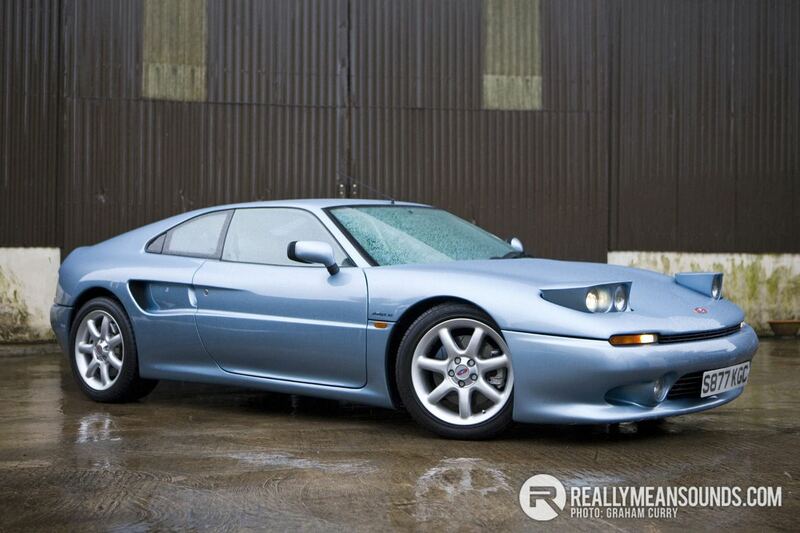 True to that claim, the Atlantique 400 GT with a 408 bhp V6 3.0 24v DOHC twin-turbo delivered excellent performance to put it on par with Ferraris of the early 90s. The 400 GT could hit 60mph in 4.7 seconds and 181 mph top speed. High-level competition has also brought fame to the brand. Stéphane Ratel, who would later found the FIA GT Championship, was at the origin of the Venturi Gentlemen Drivers Trophy, which gathered an impressive array of 75 drivers. Venturi has also won fame through its brilliant performances in the 24 Hours of Le Mans, particularly in 1993 with Christophe Dechavanne and Jacques Laffite on Venturi Jaccadi team, and in 1995 with Paul Belmondo racing on the 600 SLM. However, it is in the BPR Global GT Series races that Venturi established its pedigree defeating Porsche and Ferrari on several occasions. In 1994 in Dijon-Prenois, with Ferté and Neugarten on the 600 LM Jaccadi, at the 1000 km of Paris with Henri Pescarolo and Jean-Claude Basso on the 600 LM, and finally at the 4 Hours Spa race, once again with Michel Ferté and Michel Neugarten. This car and its creators proved they were a force to be reckoned with, sadly though they folded around 2001 and we will never see what could have been on the UK roads and circuits. A very good friend of mines father is currently restoring one of these.....suffered an electrical fire in the engine compartment a number of years back :'(. Says body panels can still be sourced out of france but very very expensive. | A very good friend of mines father is currently restoring one of these.....suffered an electrical fire in the engine compartment a number of years back :'(. Says body panels can still be sourced out of france but very very expensive. That's the one I'm thinking of outside Dungannon?